You have been working for ELCA Vietnam? Let share your opinion about the culture and working environment at ELCA Vietnam. 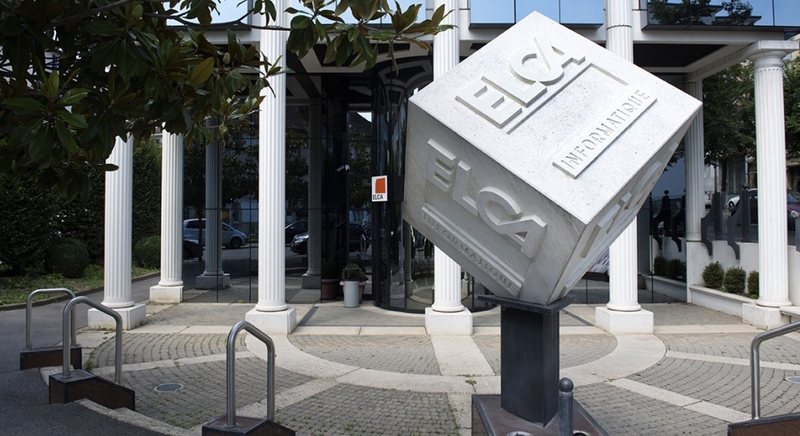 ELCA has a strong corporate culture based on agile project management, technical expertise and highest levels of quality following ISO 9001 and CMMI ML3 best practices. Frequent travels to and from Switzerland allow our teams to deliver solutions respecting quality, schedule and cost constraints, providing our employees and customers a very high level of satisfaction. We offer our customers a single source for the complete spectrum of IT services including consulting, development, integration and operations. Thereby, we provide truly workable solutions for many different industries. Thanks to our well-developed network of technology partners, and our ambition to remain independent (stakeholder, technology partner, industries, etc.) we are always able to choose the technical solution that best meets the specific and individual needs of every client. Are you an experienced IT professional with some years of working experience in your backpack? Are you interested in leveraging your skills and competences in a growing and healthy independent Swiss IT solutions company with more than 800 colleagues leading their fields of expertise? Do you constantly look for new challenges and opportunities in your career and in your job? If yes, ELCA is your land. SecuTix provides a Cloud/SaaS Ticketing Engagement Platform for the culture, entertainment and sport sectors for which it is chosen to be the ticketing solution provider of two of the top three greatest world events! Since ten years, the system offers a customer-centric environment that combines the advantages of a well-structured business with those of a fast-growing company. The quality of our product, our focus on customer satisfaction and the professionalism of our team make the difference. The Software as a Service model (SaaS) is characterized by a daily evolution of product capabilities providing new features and benefits to the customer. The success of any SaaS business is critically dependent on its ability to deliver its service with high levels of reliability, security, privacy and performance. ELCA develops the software that our customers need to take full advantage of the opportunities that digitalization offers. Our solutions serve millions of users based on 24x7 availability, agile and continuous improvements. It is your chance to join our DevOps team to deliver a development service using modern tools to automate the process of software delivery and infrastructure changes including the programming of tools used at various stages of the lifecycle on AWS, Docker and Azure platforms. The world is interconnected, and all companies need to be online, through websites, mobile apps and social networks to interact with their customers and partners. Engaging people online 24/7 in various cultures and market creates huge potential for innovation. We work with top international clients to create high class websites with e.g. Symfony, ezPublish, Typo3, Sitefinity and use latest technologies such as fingerprint recognition and block-chain to deploy high-tech solutions on Android and iOS smartphones. Join us and find a great opportunity to participate in dynamic projects, learning from talented, professional and very collaborative colleagues in Vietnam and from abroad. "The managers and colleagues are friendly, approachable and ready to help to improve the working environment so that I always feel a part of ELCA." "ELCA is a very collaborative environment in which people are willing to help each other out." "There are many ways for me to build my career at ELCA." "ELCA has interesting and challenging projects both in terms of business and technologies." "ELCA provides extensive coaching and training, technical sharing and leadership mentoring." "I like the way of working at ELCA to ensure the quality of our products."